We cannot believe that we are already half way through summer! Luckily, there is still plenty of time left for summer fun here in Zionsville, IN! Whether you want some live music, good wine, or a fair, Zionsville, IN and the surrounding area has you covered – all summer long. Get out there and enjoy the last half of summer while you still can! 7th Annual Art of Wine Festival. Coming up this Saturday, July 18th, the IU Health North Hospital presents unlimited wine tastings from participating wineries for only $15. Bottles will also be able to be purchased. Located in Carmel Arts and Design District, Main Street and Rangeline Road, Carmel IN. 158th Annual Indiana State Fair. One of America’s best state fairs is right here in Indiana!This years theme is The Year of the Farmer. 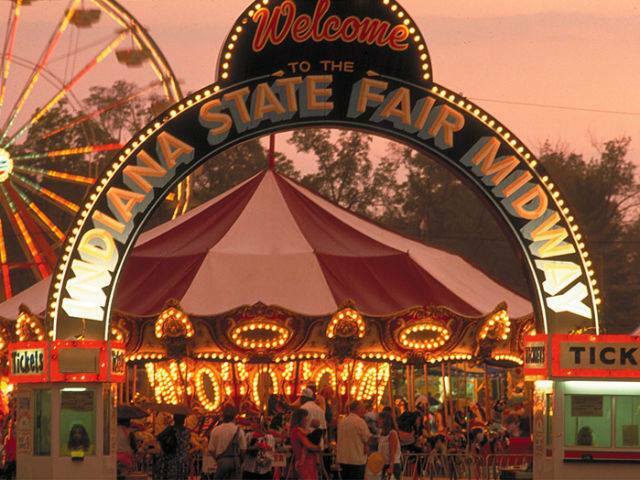 Located at the Indiana State Fairgrounds, there is fun for everyone! Indianapolis, IN. August 7th – 23rd. Concerts at the Fairgrounds. Also located at the Indiana State Fairgrounds are several concerts, many during the Fair. With several musical styles there is something for everyone. Visit Indy has a great line up of who is playing when. We hope you enjoy the last half of summer here in Zionsville, IN, we know we will! If you are traveling to Zionsville, IN this summer and are interested in learning more about what this great city has to offer please contact an Zionsville, IN real estate agent. We’d love to hear from you!